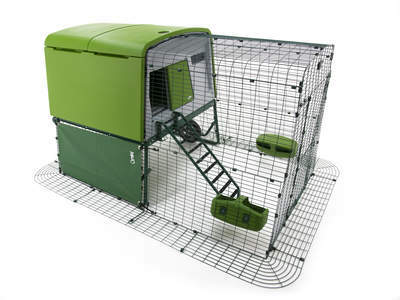 The Run Door Self Fit Kit lets you add an extra access door to your Eglu run or Walk in Run. 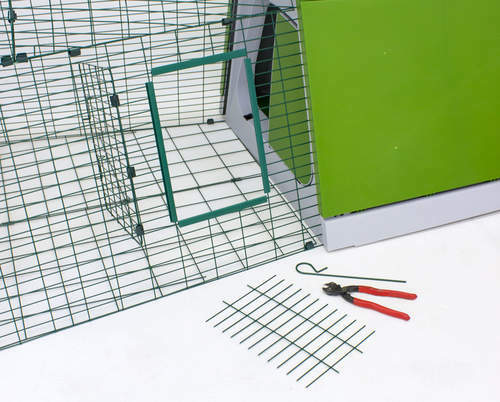 Simply cut out a section of your run mesh, cover the edges with the supplied edge protectors and clip the door in place. 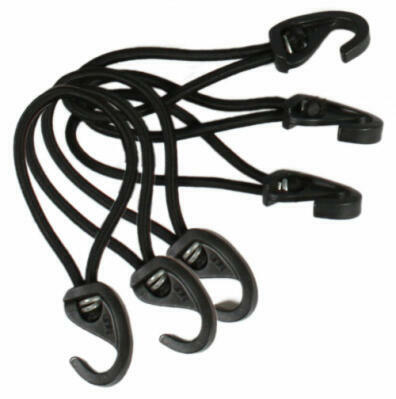 (You will need some good quality pliers to cut the hole in your run panel.) 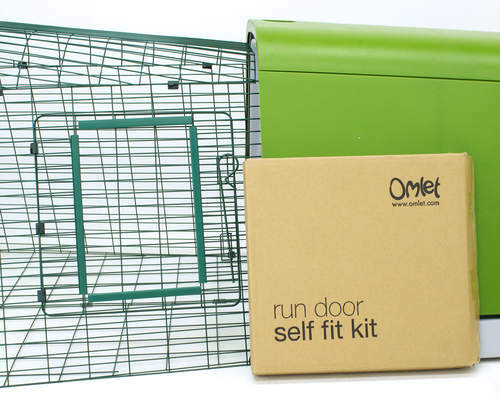 If your pets move their toys to awkward parts of the run or occasionally lay an egg just out of reach, the Self Fit Door Kit is just the thing for you! 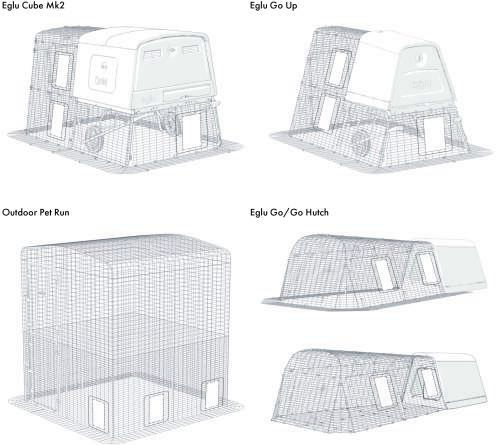 The Run Door Self Fit Kit is compatible with the following products: Eglu Cube MK1, Eglu Cube MK2, Eglu Go & Go Hutch, Eglu Go Up, Outdoor Pet Run. 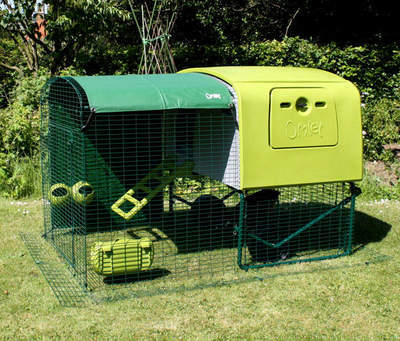 It is not compatible with Eglu Classic. Really quick and straight forward to fit. Great addition at the top of the run to help cleaning and coop access. 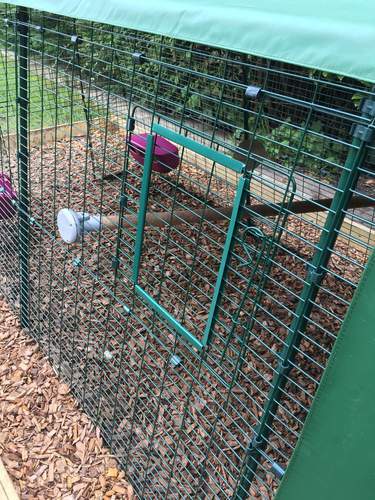 The extra run door was so simple to install and really makes it a lot easier to clean out the run of our Eglu Go. Also useful for being able to reach trickier corners. 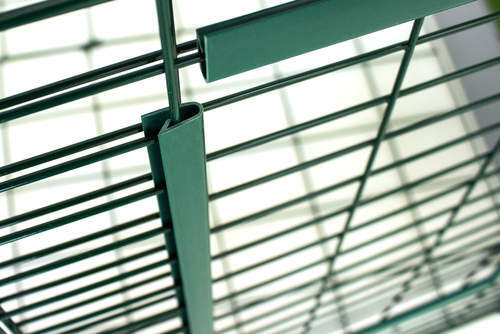 You'll need wire cutters to fit this but they're generally very cheap and easy to find. We love this. 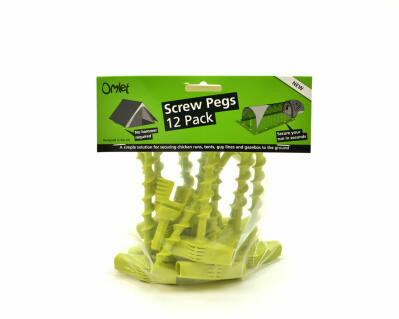 Easy to fit, does the job well. Expensive. 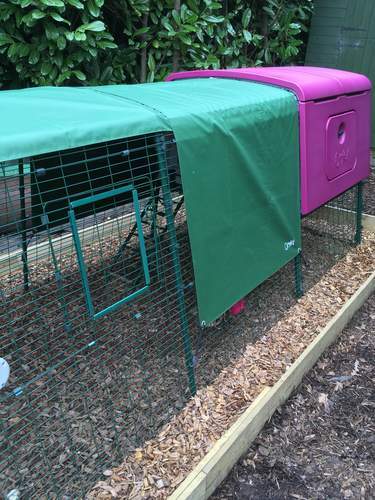 This was so useful for the first few days after chicks had hatched under a broody. 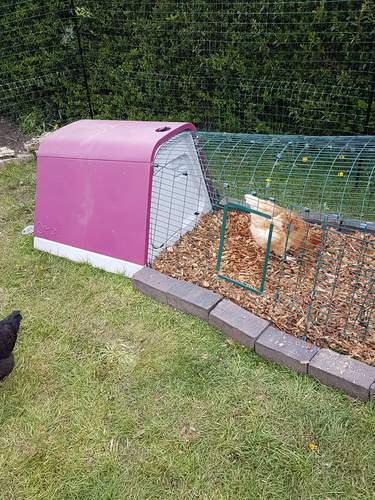 It enabled me to put food and water close to te eglu door without having to move the run.